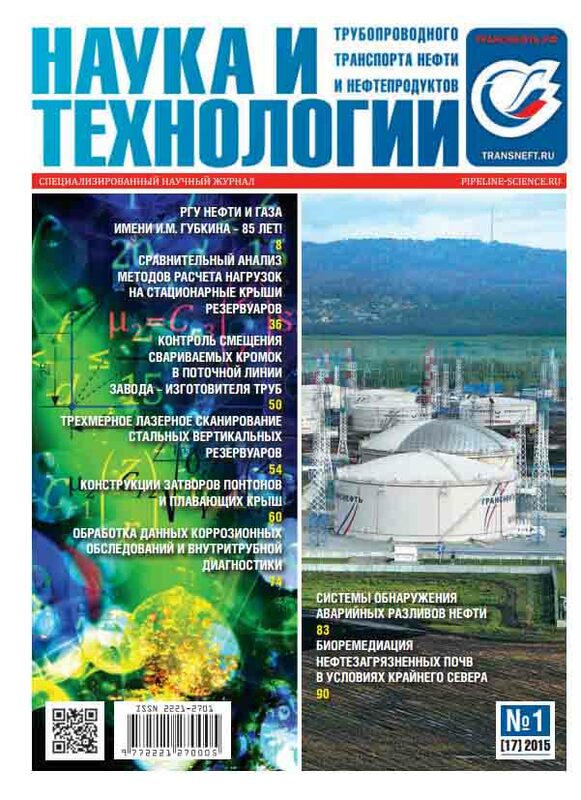 The article “Forecasting of Permafrost Thawing Around an Underground Cross-Country Pipeline” was published in the peer-reviewed scientific journal “Oil&Oil Products Pipeline Transportation: Science and Technologies” (№ 1 (17) 2015). In the article, formation of thawing bulb around the cross-country pipeline is simulated in Frost 3D Universal software package. Presented computer simulation is based on the numerical solution of the heat equation in three-dimensional statement factoring phase transitions. The proposed technique can be applied at design and operation of underground pipelines in difficult geological and engineering conditions for an assessment of the thawing bulb formation. The knowledge of the thawing bulb size is necessary at calculation of the stress-strain state of a pipeline. 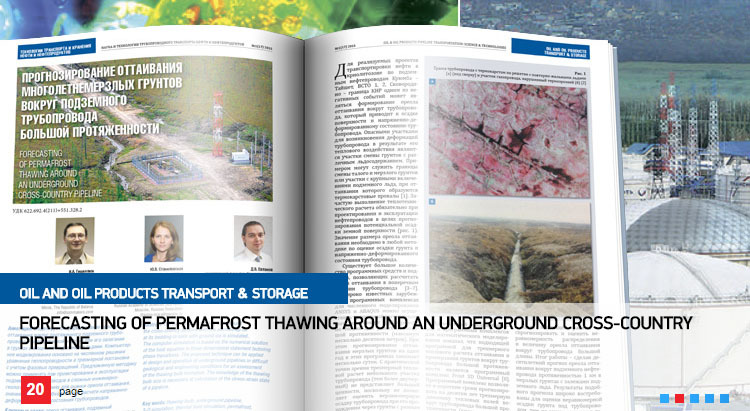 The article was written in collaboration with Geocryology Laboratory of Sergeev Institute of Environmental Geoscience RAS. Find out more about latest issue (Table of Contents) on the publisher’s website. Article “3D Computer Simulation of Ground Thaw Bulb Formations Including Ice Wedges Around the Pipeline” About Simmakers Ltd.